The museum is scheduled to be fully open in 2023. Our preview exhibit opens this November. 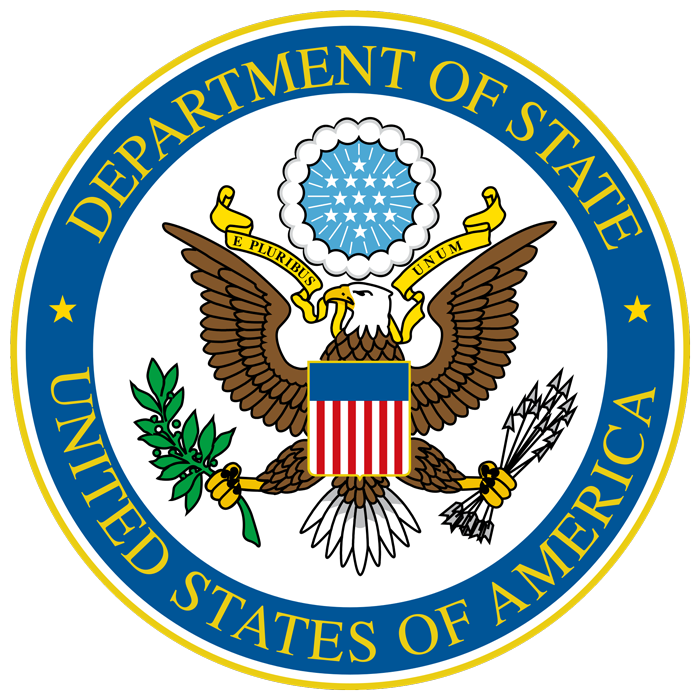 The United States Diplomacy Center is a museum and education center at the U.S. Department of State currently under development. The new glass pavilion at the 21st Street entrance to the Department is the beginning of what will become a dynamic space fully open to the public with permanent and temporary exhibitions and education programs. The United States Diplomacy Center tells the story of the history, practice, and challenges of American diplomacy. 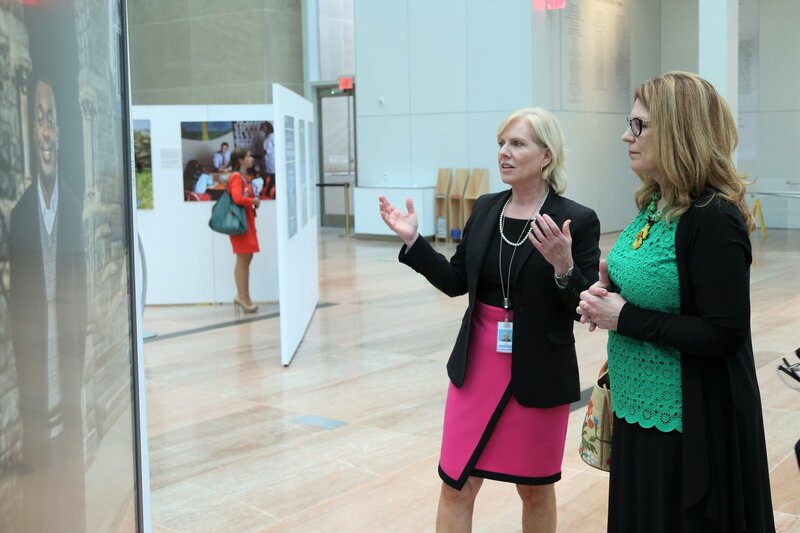 Through exhibitions and programs, we inspire the American public to discover diplomacy and how it impacts their lives every day. The United States Diplomacy Center is our nation’s first museum and prominent authority on American diplomacy. Through powerful storytelling and meaningful interactivity, visitors explore the historical and present impact of our nation’s diplomats who have served and sacrificed for their country. Centered at the heart of the U.S. State Department, the Center boasts a world-class campus with dynamic exhibits, unique artifacts, and interactive, provocative content. 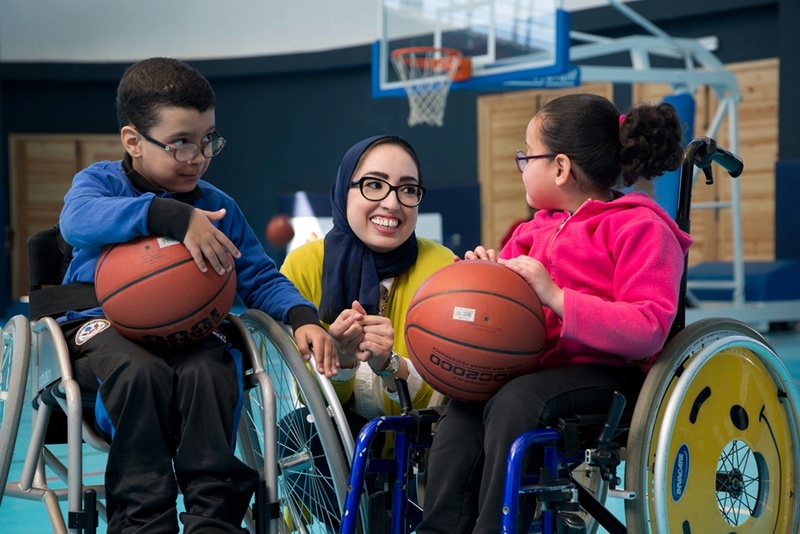 The Center’s far-reaching education program, operating in the nation’s capital and throughout the country , illuminates diplomacy through immersive simulations, robust digital offerings, supportive programming, and never-before access to diplomats. The Center is situated where our nation’s foreign affairs take center stage. Practitioners’ first-hand experiences will provide visitors a sense of going behind-the-scenes of diplomacy. The Diplomacy Center will be a welcoming place that communicates transparency to the public from the agency that takes the lead on our nation’s diplomacy. In the late 1990s, two statesmen, Ambassador Stephen Low (1927-2010) and Senator Charles McCormick “Mac” Mathias, R-MD (1922-2010), took the initiative to create a museum to tell the story of American diplomacy. They formed a private foundation, now called the Diplomacy Center Foundation, and started fundraising in 2000. In November of 2000, Secretary Albright dedicated space for the future museum. Every former Secretary of State since Warren Christopher has pledged support for this institution and its goal to share information about our nation’s diplomacy with the American public. In 2014, Secretaries Kissinger, Baker, Powell, Albright, Clinton, and Kerry broke ground to start construction on the contemporary two-level glass and steel pavilion which complements the Art Moderne style of the original 1939 War Department. In October 2015, the Center received the Signature Segment of the Berlin Wall, now housed in Hall IV. Construction of the pavilion (Halls I and IV) was completed in January 2017, paving the way for completion of exhibit design and fabrication. The Center will offer visitors tangible experiences in the world of American diplomacy through state-of-the-art interactive exhibits and programs that cover the both the history and modern-day practice of American diplomacy. We will engage visitors in stories using our collection of high-quality artifacts, now numbering over 8,500 objects. For students and educators, we offer educational role-playing exercises through diplomacy simulations that can be conducted in the Center or in their own classrooms. Advanced communications equipment in a Global Classroom will connect American students with their peers and with American embassies around the world to discuss issues. Stay up to date with our current projects, or find ways to contribute to the Center. 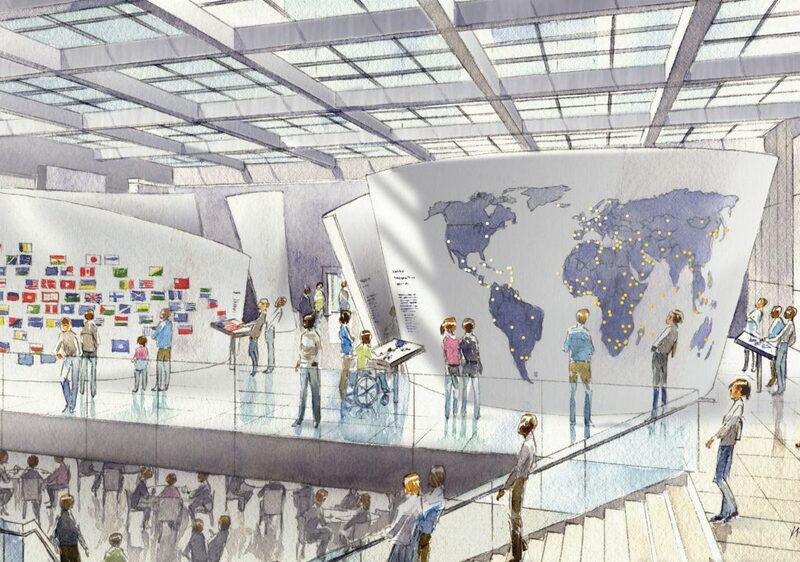 In a glass Pavilion, interactive exhibits will explore diplomacy today and provide an orientation for the public about who are our diplomats, what they do, where they are posted around the world, our global bilateral and multilateral relationships, and how this all relates to their everyday lives. A visitor may enter with a particular interest or passion for a global issue and have their understanding broadened within a context of the practice and challenges of diplomacy. In space set aside adjacent to the Pavilion, visitors will travel through U.S. diplomatic history. A detailed timeline and thematic galleries will cover U.S. history through the events, people, and places of diplomacy. Artifact and story-rich exhibitions will bring many little-known or untold stories to the forefront. In addition, the challenges and dangers that have faced, and continue to face, our diplomats will be featured. Returning to the present-day, visitors will have the opportunity to learn what it takes to become a Foreign Service Officer and also try their hand at diplomatic negotiations. The glass classroom in this hall will be the centerpiece of education programming for the Diplomacy Center where groups can participate in a diplomatic simulation or collaborate with student audiences abroad. These inspiring programs will also provide information on how interested visitors may become more involved in diplomacy. Returning to the Pavilion, visitors can head down the monumental staircase with a close-up view of the Signature Segment of the Berlin wall which bears the signatures of 27 political and civic leaders from Europe and the U.S. who played a role in the dismantling of the wall and reunification of Germany. This hall is a vibrant space for public programs and special events, and also will provide visitor services such as a gift shop, snacks, restrooms, and a coat check. Mary D. Kane became Director of the Center on April 2. 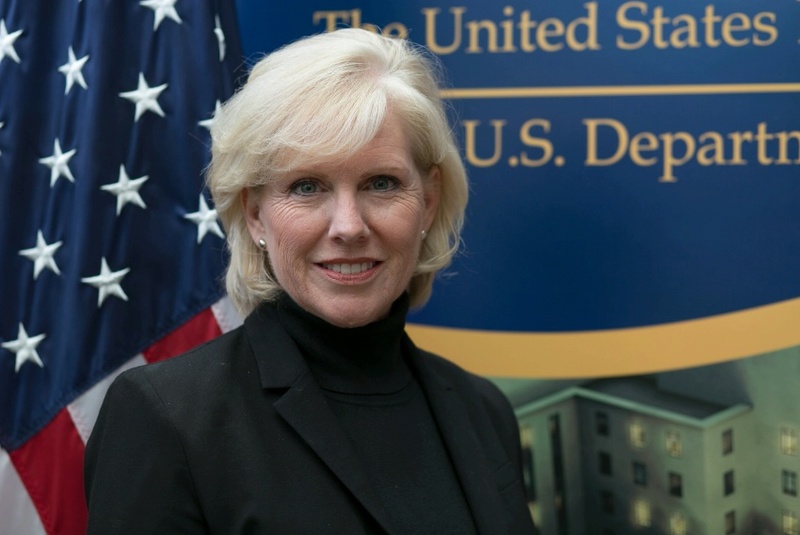 She brings a wealth of public and private sector experience to the project, having served as President and CEO of Sister Cities International, a citizen diplomacy network created by President Eisenhower 61 years ago to promote international peace, understanding, and cooperation.